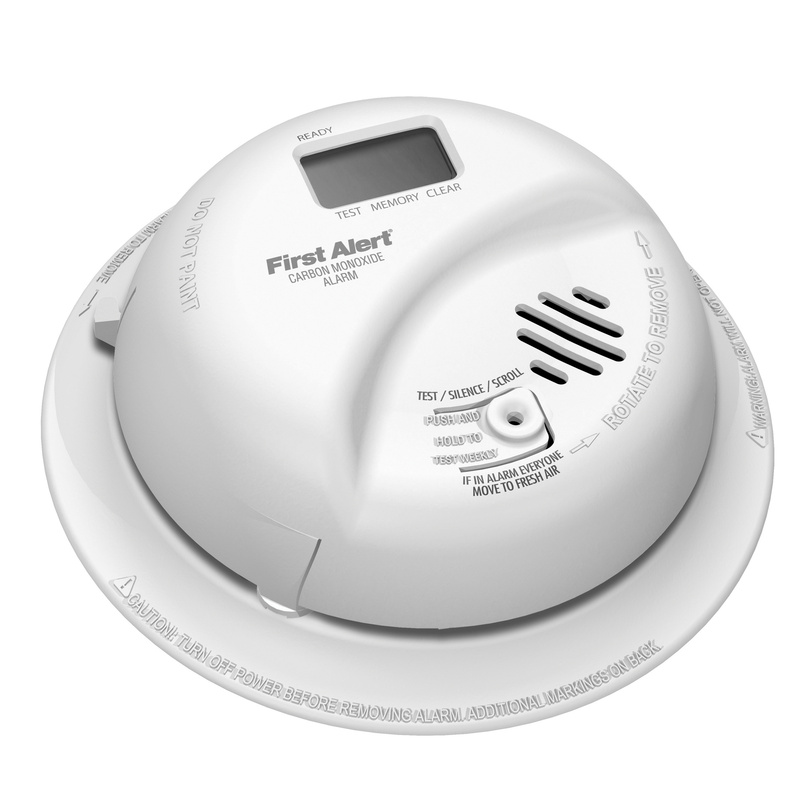 BRK First Alert® AC/DC CO Alarm with digital display, offers noise level of 85 dB at 10 ft. It incorporates electrochemical CO sensor for efficient operation. It has voltage rating of 120-Volt AC and current rating of 0.09-Amp. It has frequency rating of 60-Hz. The alarm in white color, has constant green LED AC power, intermittent green LED DC power indicator and blank display. This alarm is wall or ceiling mountable. It has 9-Volt battery backup. It has solid state piezo type horn. This alarm has LCD digital display with memory. It has a dimension of 5.4-Inch Dia x 1.9-Inch. It operates at temperature range of 4 to 38 deg C. This alarm resets automatically when CO clears. It offers interconnection with up to 18 units of first alert or BRK smoke, CO and heat alarms. CO Alarm is UL listed.